(Hong Kong, 17 July 2013) Investigations conducted by the Agriculture, Fisheries and Conservation Department (AFCD) noted that there were no abnormality seen in any of the dolphins, including Pinky, and had concluded that there were no findings of mistreatment in the case of Pinky, a 14-year old female dolphin, whose habitual jumping behaviour was previously reported by local media. In light of the findings by the AFCD, the police have also closed its investigation. 1. Breaching (jumping behaviour) is a play behaviour generally seen in both wild and captive dolphins. On rare occasions, the dolphin might land close to the wall or the edge of the pool. 2. Pinky showed no obvious external wounds/abrasions on her body, tail and pectoral fins. 3. Pinky showed no signs of pain or discomfort as she swam freely. 4. Pinky’s living environment should not be a factor in her breaching behaviour as she is captive-born and well adapted to her human-care environment. The report also noted that Pinky appeared to be more active and attached to humans than other dolphins, adding that her breaching behaviour has likely started at an early age as play behaviour, which subsequently has become a learnt attention-seeking behaviour. This is consistent with the understanding of Ocean Park’s zoological staff. Ocean Park has a team of over 60 qualified and experienced husbandry and veterinary staff to care and provide for all of the Park’s marine mammals, with 29 staff solely dedicated to dolphins. The Park is also an active contributor in the community of zoological facilities through attending and hosting international conferences to exchange experience with peers on the care and husbandry of different animals, including dolphins. In April 2013, Ocean Park, the Alliance for Marine Mammal Parks and Aquarium (AMMPA), and the Association of Zoos & Aquariums (AZA) announced that the Ocean Park Corporation was granted accreditation by the respective organizations. AZA’s independent Accreditation Commission stated that Ocean Park’s accreditation was the result of meeting the highest standards in animal care and educational presentations. 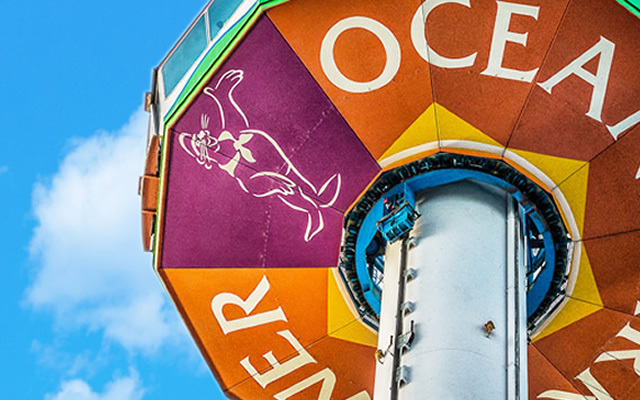 This was the third five-year accreditation that Ocean Park has secured from AZA, building on its status as the first and only facility outside the Americas to be awarded accreditation.